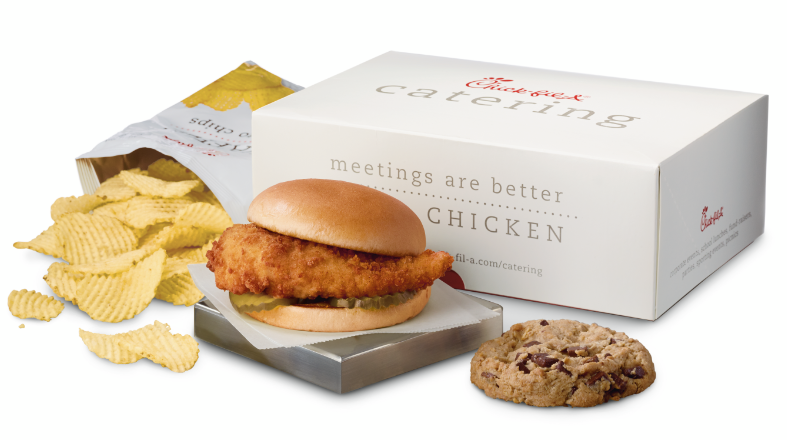 Chick-fil-A® is the easy choice for irresistible food and a remarkable experience for a variety of occasions: birthday parties, graduation events, tailgates, corporate business meetings, breakfast meetings and more! We offer both pick-up and delivery services to meet your catering needs. “We ensure that your order is correct and ready to be picked up or delivered at the right temperature and the right time. in other words, the hot food is hot, and the cold food is cold.” Any celebration, Less preparation; your event catering one-stop shop.